See how Belkin's WeMo smart switch is more than just connecting your lights to your smart home. 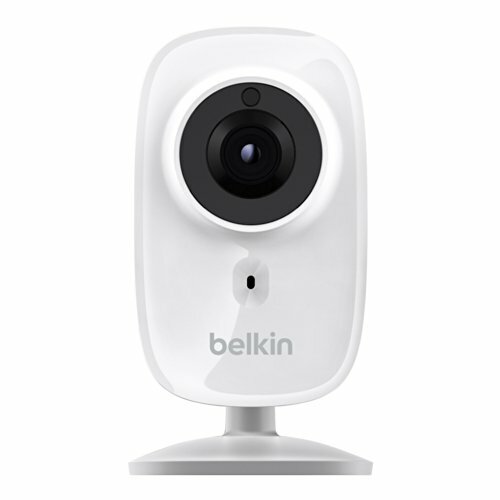 Belkin WeMo home automation products go beyond the expected light switches, outlets and video cameras to include direct control of some small appliances. There's even a versatile module that will let you create your own connected, automated solutions. However, there are still some holes in WeMo's game. If you know exactly what you want from your home-automation system, and don't need a ton of hand-holding to get it done, WeMo is an intriguing option. There's no communications hub and no kits, so it's mix and match time when you want to design your system. Belkin sells its WeMo modules one at a time, which is good and bad. While you don't end up with extra devices you don't need, it takes additional research and effort to get exactly what you want. WeMo also offers some options that go beyond the norm. In partnership with other manufacturers, such as Jarden, Osram Sylvania and Holmes, WeMo-enabled Mr. Coffee coffeemakers, Crock-Pot slow cookers and an assortment of lighting products, room heaters, air purifiers and humidifiers are also available. Belkin also offers the WeMo Maker ($80), which is a versatile module that lets users create their own home-automation device; I explore just how I used it to solve a problem in my house in this sidebar. (High and Dry article). Some basic and highly desirable modules are missing however, including a WeMo-enabled thermostat. Still, all of the expected light switches and power outlets are available with WeMo. On the home security front, WeMo offers web cameras and a plug-in motion detector. Other WeMo devices can let you keep tabs on energy and water usage. There's also the aforementioned DIY Maker module, which lets you wire up sensors to control any piece of electronics that uses 24-volts or less. 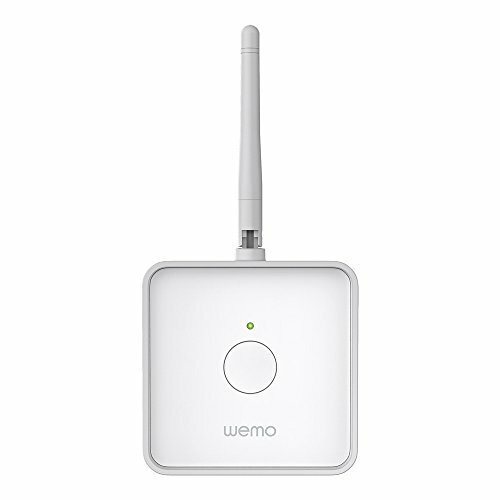 Plugging a major shortcoming, WeMo announced in January 2015 the release of a door/window contact sensor. Also announced an alarm sensor that can remotely alert you if your home smoke/CO2 sensors have gone off and a keychain sensor can alert you when your children enter or leave your home. A new wireless motion detector is also on the way. WeMo software only natively supports iOS and Android devices, though third-party hacks and workaround for other platforms can be found on the web. Still, this falls short of some systems' ability to natively work with iOS, Android, Windows phones, PCs and Macs. 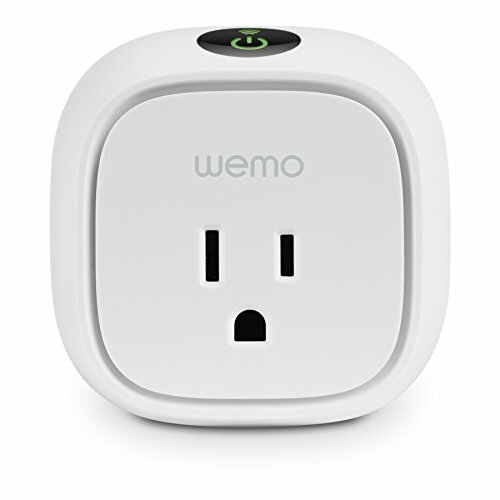 WeMo communicates via Wi-Fi. Some other systems do the same, but still others use different wireless technologies, and some back that up with wired networking as well. Partly because WeMo doesn't rely on a communications hub, working through the multi-step process to get it set up can be tedious, and things didn't always go smoothly on my first try. After downloading, installing and starting up the WeMo app on my iPad Air 2, I connected with the WeMo outlet, which has a unique network name. Then, I had to go into the app and select my home's Wi-Fi network for it to connect. Unfortunately, it never got beyond looking for that network on the first try, but I was able to continue after restarting the iPad. All told, it took me about half an hour to get my test home automation system up and running. The test system included LED lightbulbs, a light switch, a power outlet and a Switch+Motion kit, which turns on connected devices, such as lights or a small appliance, when motion is detected. 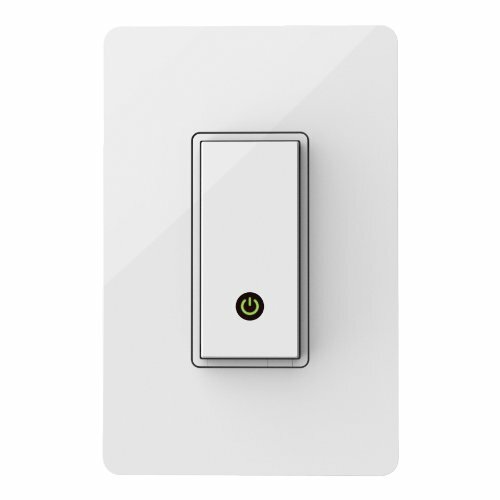 The large rocker light switch blends in alongside Lutron Decora switches and can be installed by a moderately adept homeowner. The Switch+Motion kit just plugs in, but it hogs the second outlet of a two-gang plug. 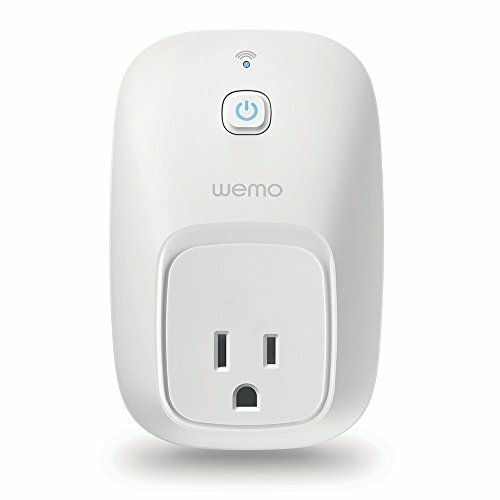 Once everything is connected, the WeMo app lets you turn the lights on and off via the Internet using your smartphone or tablet. You can also set up schedules to turn lights on or off, or dim them at specific times, or in response to events, such as sunrise or sunset. That's just the tip of the iceberg in terms of what you can do with WeMo. For example, the Insight power switch keeps track of the energy usage of anything plugged into it. You can also have it send that information directly to your smartphone. Innovative uses include having the power switch monitor the energy use of your dryer, and then send you a message when it's finished its cycle. I was also able to watch the feed from my Belkin NetCam's webcam far from my house to keep tabs on the family's pet tortoise. The resolution is HD (though just the lower 1,280 by 720 pixel standard). The lens is wide angle, but you can't remotely tilt or pan the webcam, something you can do with Insteon's more sophisticated offering. You can program the NetCam to look for motion between frames and send you an email with two photos for free. However, viewing full-motion video remotely requires a subscription to Belkin's Cloud+ Premium Services at a cost of $9.99 a month, or $99.99 for one year. WeMo is compatible with the If This Then That (IFTTT) web service, and that lets you take WeMo to a new level using ideas and software that others have created. Think of it as an open source home-automation platform and you get an idea of IFTTT's potential. There are dozens of IFTTT "recipes" that work with WeMo products, such as one that blinks the lights when your favorite team's game is about to start. Plus, if you have a flash of inspiration, you can add your own WeMo recipe to the site's listings for others to use. With WeMo-enabled devices that range from $20 to $200, WeMo lets you get only what you need, creating a custom kit with no leftovers. While it is the only home automation vendor that supports appliances made by third parties, its range of modules does pale in comparison to what's available with other platforms, such as Insteon and Iris -- at least for now. Still, if the range of WeMo modules and third-party products that support WeMo matches what you want to control under your roof, WeMo's software and the ability to add custom commands make it a winner for home automation.